Chatbots are becoming incredibly popular. Today it’s hard to believe the most powerful brands can dispense with them. When it comes to customer satisfaction, bots are supposed to be the front-runners in different industries. They help minimize human efforts, boost sales and make customer experience delightful and seamless. How do you create a chatbot? Actually, it’s not so complicated as you think. 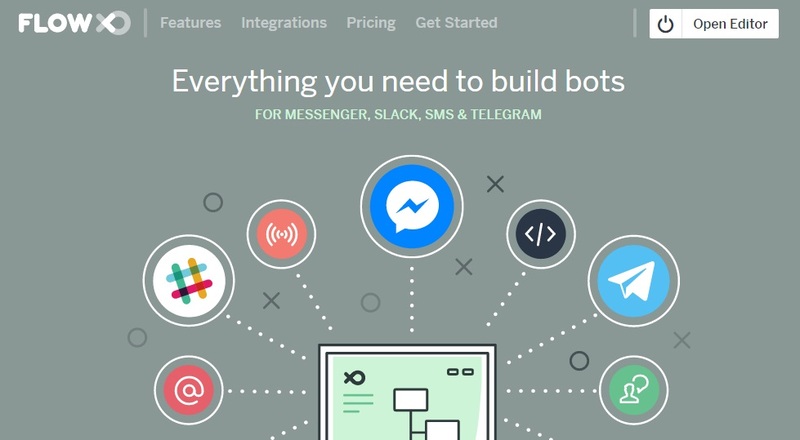 Today, we’ve collected the info about 25 great bot platforms you can use. There are free and paid platforms. Some of them are focused on specific channels. Some are universal. Some platforms don’t require technical knowledge. Others can provide developers with broad opportunities. Let’s dive in. The mission of this bot building platform is to make it as easy as possible for anyone to build their own bot. 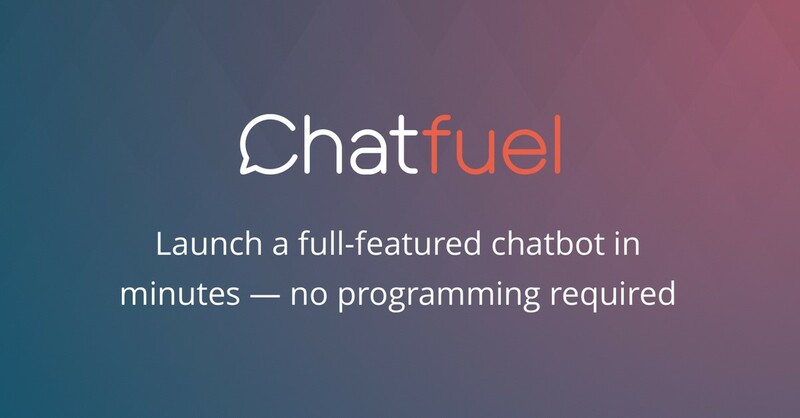 Chatfuel helps create a full-featured Facebook bot in 7 minutes without any technical knowledge. In other words, it’s straightforward to add and edit the content. You can set up conversational rules in the dashboard, and the chatbot will recognize similar phrases from users. This platform gets payable after exceeding 100K conversations/month, so in the beginning, you can use it entirely for free. Famous brands such as Adidas, BuzzFeed, TechCrunch, MTV, British Airways, Volkswagen, Uber use Chatfuel for their Facebook Messenger bots. 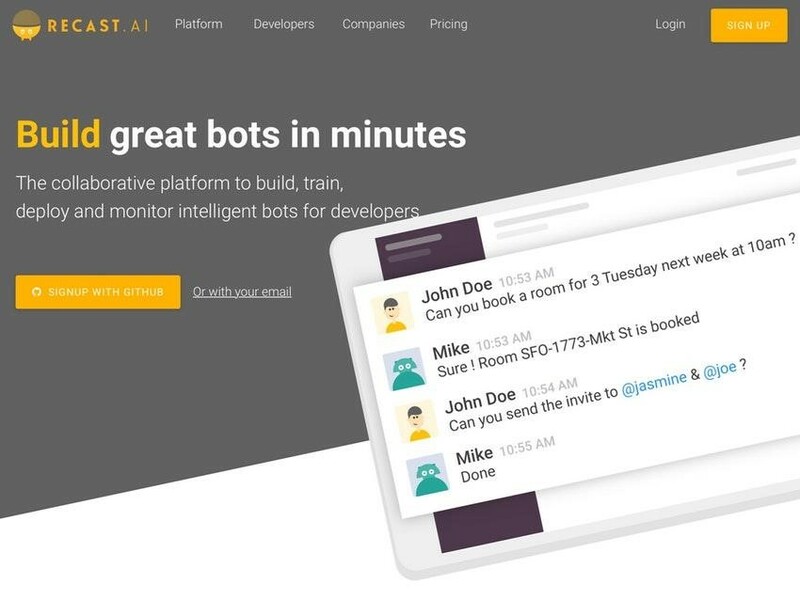 This chatbot platform has boilerplate offers to start-off. That means you may easily use some pre-built chatbots for e-commerce, food business, and customer support. For instance, if you select a bot for e-commerce, you just need to add Products, FAQ, and general settings. Moreover, the bots may be seamlessly integrated with Paypal, Stripe, and Shopify. 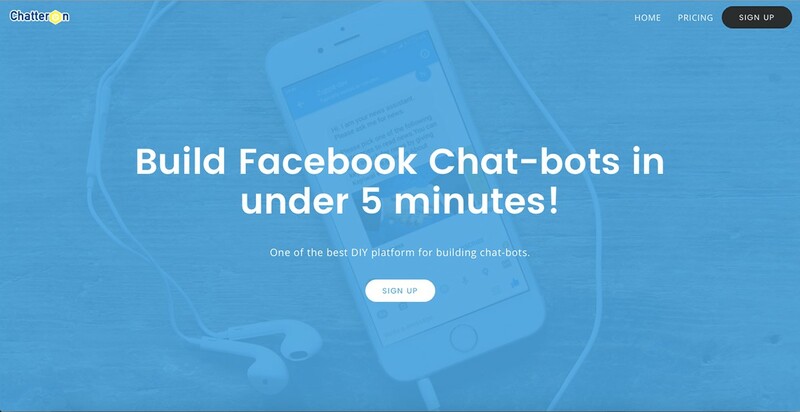 Chattypeople allows you to create chatbots for Facebook, and Slackbots. They offer a cool experience to test, deploy and measure chatbots creating a native conversational experience. 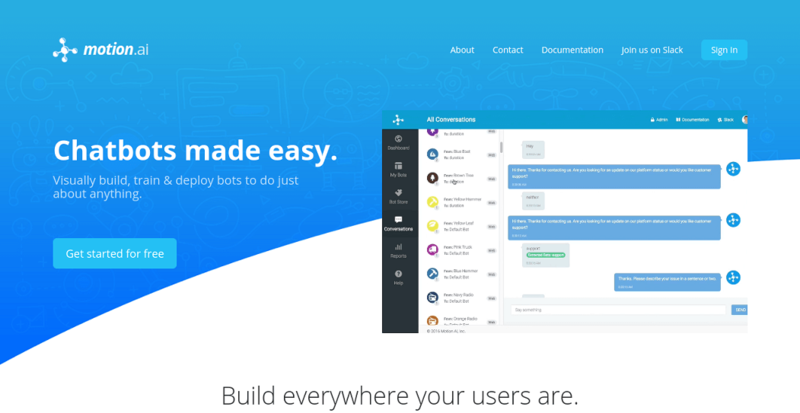 Chattypeople provides bot developers with a perspective of how the bot is working. In plain English, you may analyze user conversations and thus optimize the customer experience. It is one of the most popular Facebook Messenger chatbot platforms. 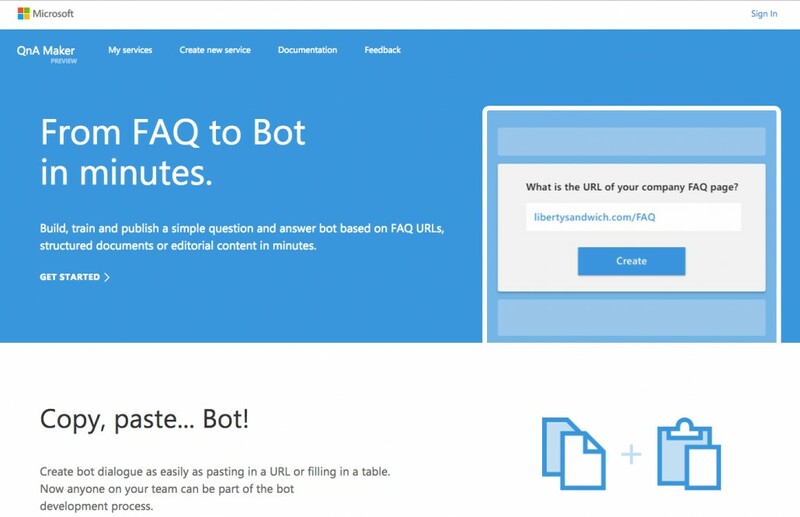 Their easy drag and drop interface allows you to design bot templates with ease. Moreover, the Botsify’s feature Smart AI selects similar phrases and entities from the user’s query and picks up the best answer accordingly. Machine Learning provides an opportunity to learn about what questions chatbot can’t answer and teach a chatbot new sentences overtime. Besides, their cool feature Human Takeover allows people to take over the chat from the bot when it’s needed. With Botsify you can create one chatbot for free but to develop more bots you have to pay afterward. 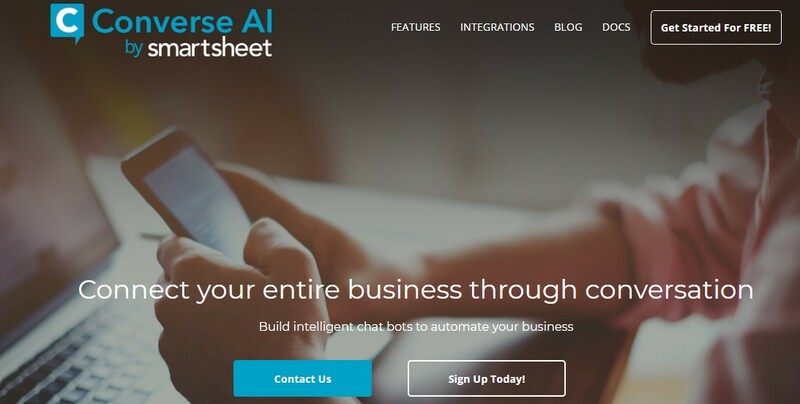 This chatbot platform was acquired by Hubspot and it lets anyone build complex bots without touching a single line of code. Bots are available as a free part of Hubspot CRM. So let’s explore its opportunities. Motion.Ai allows you to visually build, teach and deploy chatbots on Facebook Messenger, Slack or your website. First, you need to diagram the conversation flow and after that connect the bot to a messaging service you use. Sounds cool, doesn’t it? You can deploy Node.js code directly from its interface. It lets simply build bots without the necessity to write code at all. It may be integrated into different third parties such as HubSpot, Stripe, Paypal, ClearBit, and SalesForce. It has proprietary inbuilt NPL Parsing Engine, and the capability to build Conversation Templates with ease. With its analytics engine, you can track, drill down and understand how users are interacting with your bots. This toolkit is supposed to reign supreme. Why? Chatbot experts say it allows them to control all aspects of the interaction and supports an open-ended number of platforms. With this chatbot framework, you can make bots for Slack, Twilio, Facebook Messenger, Facebook For Work, Microsoft Teams etc. 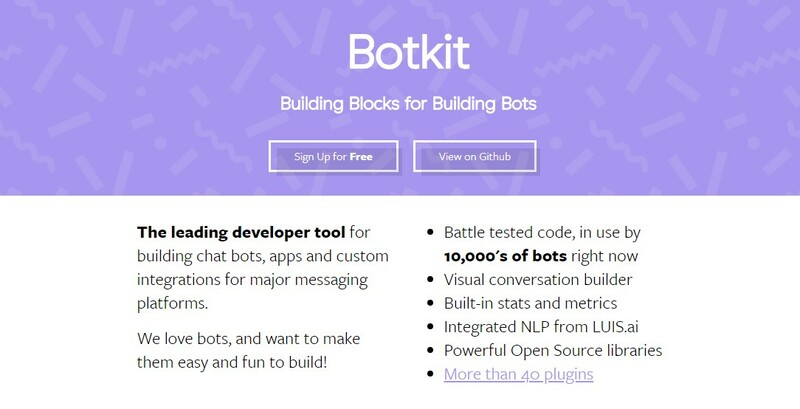 The essential advantage is that Botkit allows you to build intelligent, conversational apps that copy the way humans speak. It’s easy to learn and it has a huge and useful community. You may find this software on Github. This bot building platform provides people who can’t code with the opportunity to create chatbots. They help develop bots very quickly. The reason for it is ChatterOn offers more than 20 predefined bots with intent and conversation flow. Actually, this application was created in India. Today, it’s one of the top chatbot development platforms in the world because of cool features and the ease of bot building. Bottr is a good solution to create your own chatbot from anywhere. 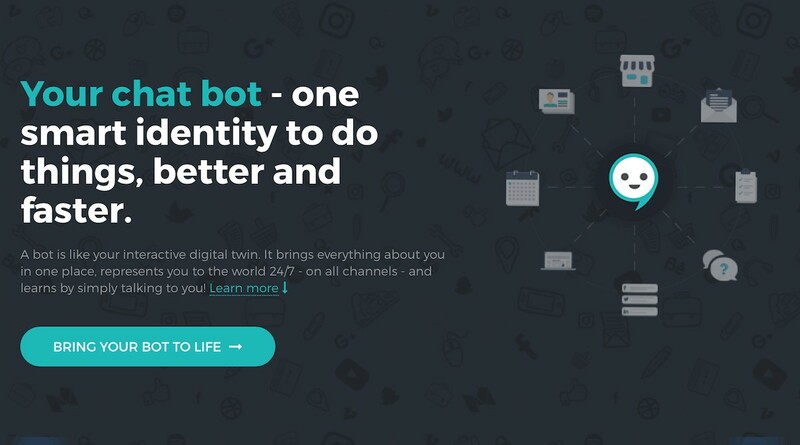 Put it simply, with this bot platform you can let people connect with your company via email, website, blog or social media over personalized chat or link. Also, you may add data from WordPress or Wikipedia. This chatbot development platform empowers users to train, build and manage bots. With this tool, you can easily create bots that truly understand custom queries and answer them very fast. The Bot Builder feature enables to run dialogs and create conversational flow. Besides, this friendly platform allows you to use various messaging metrics and bot analytics tools to improve natural language processing and monitor bot performance. 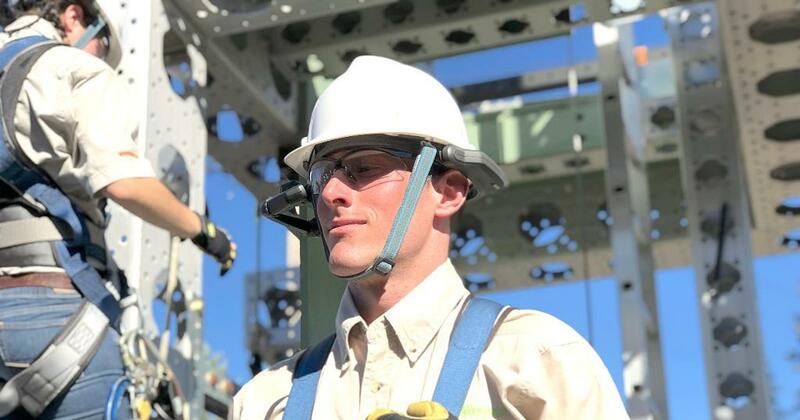 Now, Recast.ai is a part of SAP Software Solutions. MobileMonkey allows you to create a Facebook Messenger chatbot in minutes with no coding experience required, enabling automated mobile messaging between businesses and their customers. The training process requires you to review and answer a few questions every couple of days, helping your chatbot learn to ask and answer any question about your company. Mobile Monkey’s plans start with a free version and upgrade options up to $149 per month. With this bot platform, you can turn a website into a chatbot. It allows to create chatbots on Facebook Messenger, live chat and run them from the same platform with human assistance features. In a few minutes, you can start a conversational website. Big brands such as LG and Uber are testing this technology now. How does it work? Once you access the app, you can start building flows with their chatbot builder or customize templates. 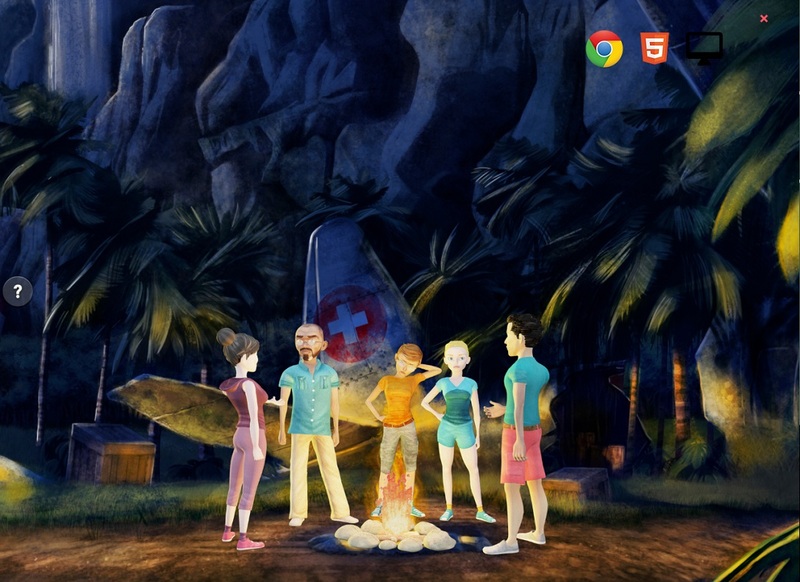 Then you can choose a design with unlimited possible combinations of background, logos, colors, fonts. Then you just need to embed HTML snippet on your site. This process is effortless. Reply.ai has a drag-and-drop, code-free interface and makes rapid prototyping possible. This chatbot building platform is highly secure. 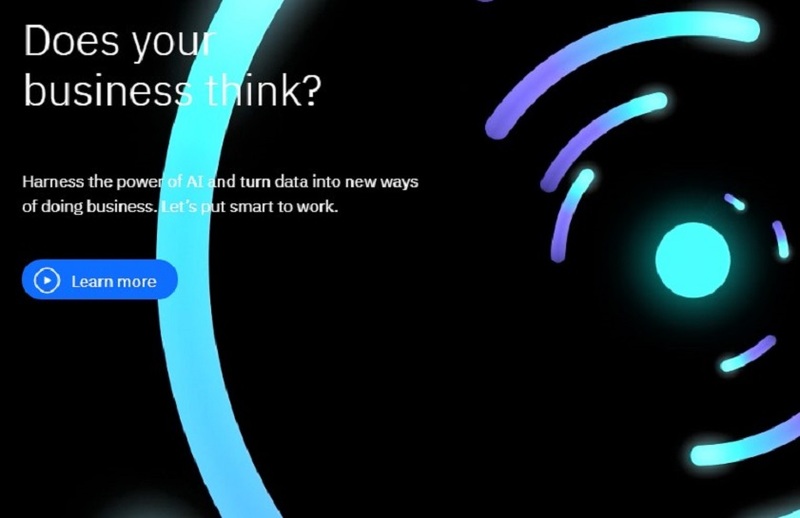 Also, it uses NLP (natural language processing) engines wit.ai and api.ai for complex use cases with analytics about every single response from your users. You can easily integrate it with your backend. By the way, Nike, Starbucks, KIA and Hilton actively use this platform for the bot development. This is a Facebook page chatbot building platform. The main feature of It’s Alive is recipes. With this feature, you can automatically answer when your customers or visitors text certain queries or phrases. It’s Alive allows to send periodic content each day, week or month, or to manually send a one-time message to each bot subscriber. The platform is free and available in English and French. With this platform, you can engage with your clients in different social profiles. Octane.ai has predefined features that simplify adding content, messages, discussions, etc. to your chatbot. Also, they have a revenue dashboard that lets you launch different campaigns, see how much revenue you’ve earned and analyze customer behavior. Octane.ai provides cool targeting opportunities. That means you can create customer lists and target your messages based on location, new customers, spending and conversation history. According to the Chatbots Survey Report – 2017, IBM Watson is the most popular chatbot framework used by 61% of businesses. It allows you to build great natural language understanding components for a chatbot. It’s built on a neural network. This modern structure understands intents and interprets dialogs. Moreover, it supports 9 languages and provides developer tools like Node SDK (Software Development Kit), Java SDK, Python SDK, iOS SDK and Unity SDK. With this opportunity, programmers can significantly extend the product. This bot platform is created to manage Slack bots. The bot’s source code is managed through Github and launched as a container. To start with this platform, you have to set up a Slack bot project right from Slack and run your Slack bot’s code on GitHub. 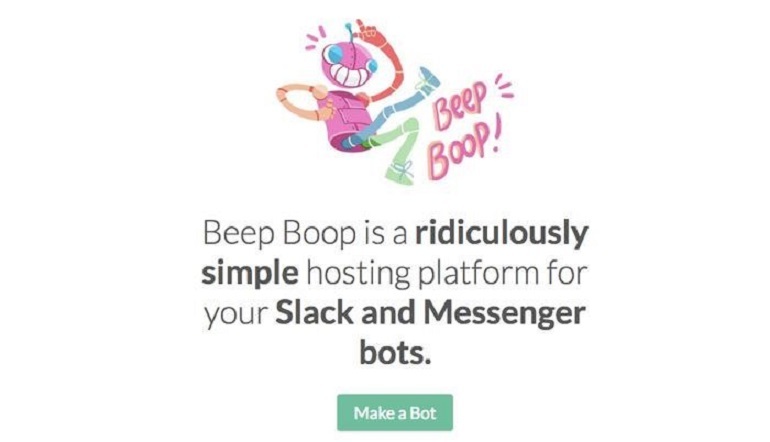 Then input it into the Beep Boop platform to tie it to your Facebook Messenger or Slack app. Thus, the chatbots will be able to communicate with your clients in real-time chat. This framework is open source and available on Github. It’s very popular because of its universality. Write code once, and deploy it to Skype, Facebook Messenger, Slack, Telegram, your website, text/SMS etc. Microsoft Bot Framework supports automatic translation to more than 30 languages while understanding intents. This platform is said to be the best choice if you need to be omnipresent across various channels. Flow XO is the only platform that has over 100 built-in integrations and modules. It surpasses its counterparts because it has a clear interface. Moreover, it provides the opportunities for human takeover. And has predefined templates to launch a bot quickly. However, this platform is limited to a specific number of conversations. After your bot reaches this number, you have to subscribe. Pandorabots is one of the open source bot building platforms with a huge community. It’s full of very different tools you need to create, launch and develop a chatbot. The platform is diverse because it offers a wide range of services from DIY solutions to fully turnkey bot development. Besides, it provides an API that allows you to deploy a chatbot anywhere you want. Their free tariff plan lets you send 1000 messages per month from 2 bots. This platform is created for answering questions. All you need to start is share the URL of your FAQ page, and the chatbot will be created right after processing the info on this page. 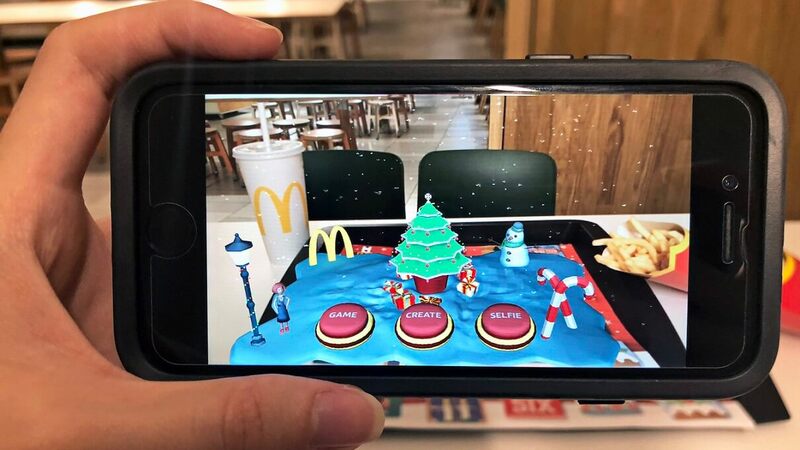 To provide the bot with the ability to see, hear, interpret and interact in more human ways, you may integrate QnA Maker with Microsoft Cognitive Services. This platform can also be integrated with other APIs and solutions seamlessly. Wit.ai allows you to use entities, intents, content and actions, and includes National Language Processing. According to Mindbrowser research, 45% of the respondents trust this platform more than any others. By May 2018, it’s used by over 160, 000 developers. Wit.ai is cool because it’s available in 50 languages and is free. Gupshup is the top intelligent messaging platform trusted by Facebook, Twitter, Vogue, LinkedIn, Mcdonalds and eBay. It manages 4 bn messages per month and has processed more than 150 bn messages in total. The community of developers that use Gupshup is about 30, 000 and it’s constantly growing. Unlike plain-text conversations, Gupshup’s messages are more intelligent and structured. Gupshup supports 23 channels such as Skype, Viber, Hipchat, Slack, WeChat etc. Hangouts and Kakao are coming soon too. They created their own conversational Artificial Intelligence. 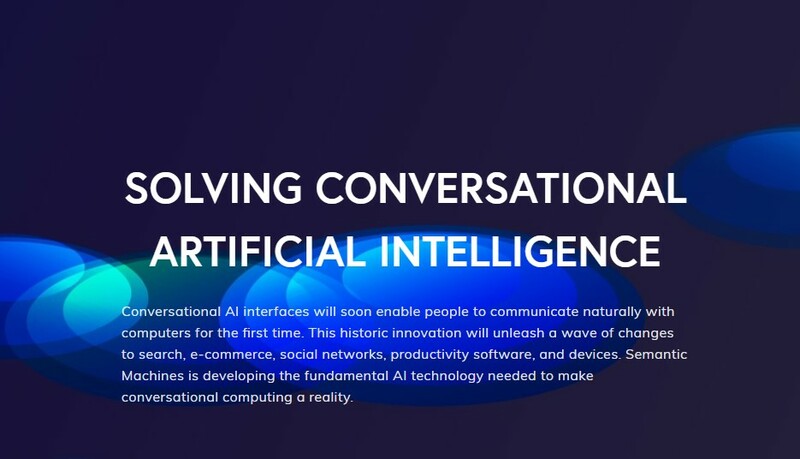 The features of Semantic Machines incorporate conversation engine, speech synthesis, deep learning, reinforcement learning, speech recognition, semantic intent extraction, and language generation technology. This platform is language independent. This platform was created for Latin America, so it’s available in Spanish, English, and Portuguese. It leverages Avio’s proprietary natural language processing technology. AgentBot collects customer data for customized solutions and has enough memory to deliver coherence during long conversations. The platform integrates with any CRM, human chat or a third-party app. Smooch is a complete messaging platform for omnichannel conversations. You can turn on automation and deliver the richness of modern messaging users have come to expect. Besides chatbot automation, you can sync conversations, add payments to them. Smooch can be integrated to Messenger, Viber, Stripe etc. Bot platforms play a crucial role in the building of chatbots. Thankfully, there’s a wide range of various platforms, so you have a great choice. Even if you don’t have specific technical knowledge and skills, it’s possible to launch a chatbot. However, to create a smart bot, you need to use AI, machine learning and NLP (natural language processing). Jasoren has great experience in bot development. We leverage different platforms and approaches to build an intelligent chatbot according to your needs.